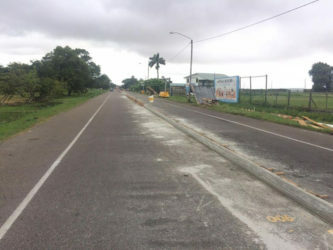 Carifesta Avenue will be widened and the insignia of various Heads of State will be placed there in time for Caricom Day. Road works in the middle of the road as seen on the western end of the road. 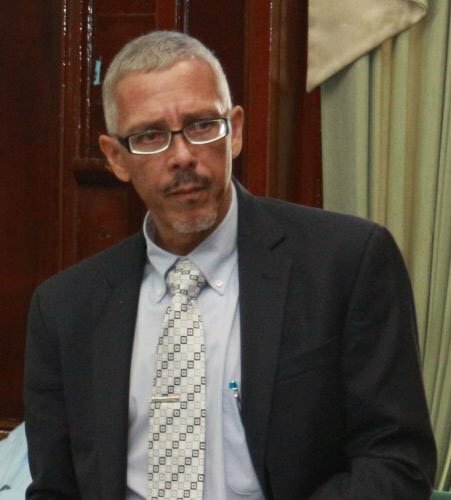 Minister of Public Infrastructure David Patterson told Stabroek News yesterday that they want to complete the project in time for Caricom Day in July. Stabroek News had reported last week that the rehabilitation works on the road will see an upgrade to facilitate more traffic and is expected to be finished at the end of July. However, Patterson said yesterday that the project, which has been divided into two lots, should be finished by early July. He said the two lots were awarded to H Nauth and Sons, who will deal with the road works, and Dynamic Engineering, who will deal with the electrical works. “Just like how you have the East Coast Road and you can drive in two lanes for cars, the road will have two lanes and a shoulder,” Patterson said. 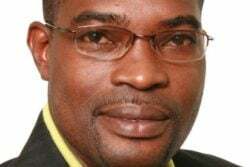 He added that consultations were done via his Ministry and it is “light road work” and will not pose “a lot of physical disturbance” and should not hinder the flow of traffic on the road. 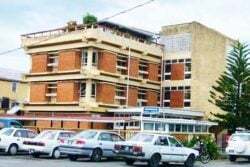 He said the project is part of the ongoing one of beautifying the surrounding area and making it more “social” and will be followed by other projects in the coming months. 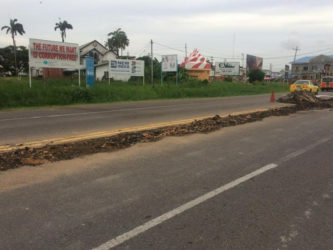 In addition to widening the road, the upgrades will also feature a median in the middle with lights and these will be decorated with the insignia of various as yet unidentified Heads of State.